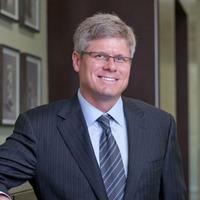 Steve Mollenkopf is CEO of Qualcomm Incorporated and serves on the Company’s board of directors. Steve began his career as an engineer and, for more than 20 years, has helped define and lead Qualcomm’s strategy and mobile technologies. His work helped propel smartphones into the mainstream, and make Qualcomm a leader in 3G, 4G and low-power computing. Today he is driving the breakthroughs that will lead to 5G, as well as new business sectors such as the Internet of Things (IoT), wearables, automotive and healthcare. Steve is an inventor and a published IEEE author who holds seven patents and is a graduate of Virginia Tech and the University of Michigan.